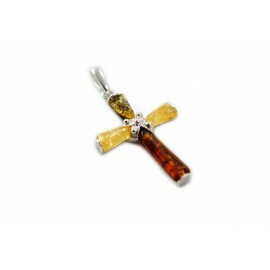 A silver cross decorated with three color amber. 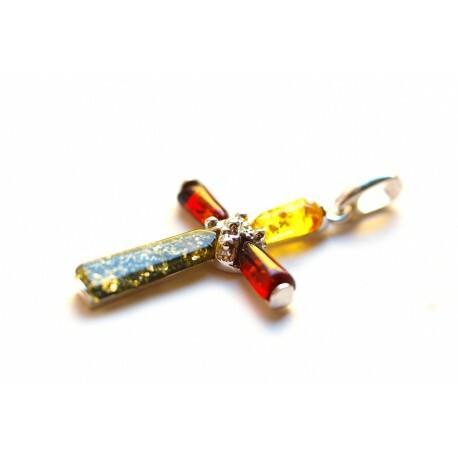 A cross is one of the oldest mankind's symbols used in various religions and faiths. The cross symbolizes the four elements, the four sides of the world, solar equinoxes, the intersection of the divinity and the world. 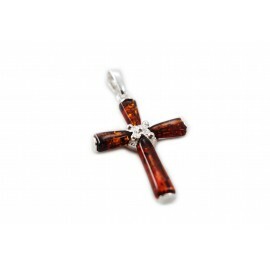 A silver pendant - a cross decorated with cognac amber. 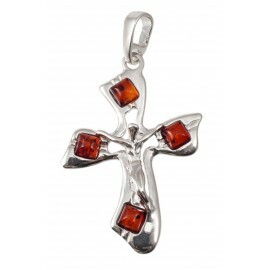 Amber - silver pendant "Tricolor Cross"
Silver pendant-cross, decorated with cognac-color amber.